This thread is simple! Rather than having a million little threads about everything that goes on at Alton Towers, this thread is designed to consolidate it all into one user-friendly thread. Feel free to use it to post updates, trip reports, questions, comments, and of course, general discussion. For pictures and videos of the park as well as past updates, see TPR's Park Index Alton Towers Page. March 12th, 2009 - Planning Application Approved! October 24th, 2009 - The Wraith Have Risen! January 5th, 2012 - Clues regarding 2013 coaster. July 23rd, 2012 - The Evil Intamin Cable of Doom Strikes Again! June 2nd, 2013 - Photos of Smiler in action! June 2nd, 2013 - CBeebies Land announced for 2014! January 8th, 2018 - Wicker Man wooden roller coaster announced for 2018! January 16th, 2018 - New Wicker Man photos released! October 11th, 2018 - The Alton Towers Dungeon teased for 2019! Yet another Red Intamin coaster.. But it does look fabulous and i'm sure a couple of Americans touring Europe will stop by for it! A very good website for updates. Last edited by jedimaster1227 on Thu Oct 11, 2018 6:18 am. Looks cool but way to kill Xcelerator's Trains! LOL!!! Dude, those trains are hilarious looking! Almost like they have a face or something! It does look like something that should have a face on it. They seem like they are for a new darkride in California Adventure. 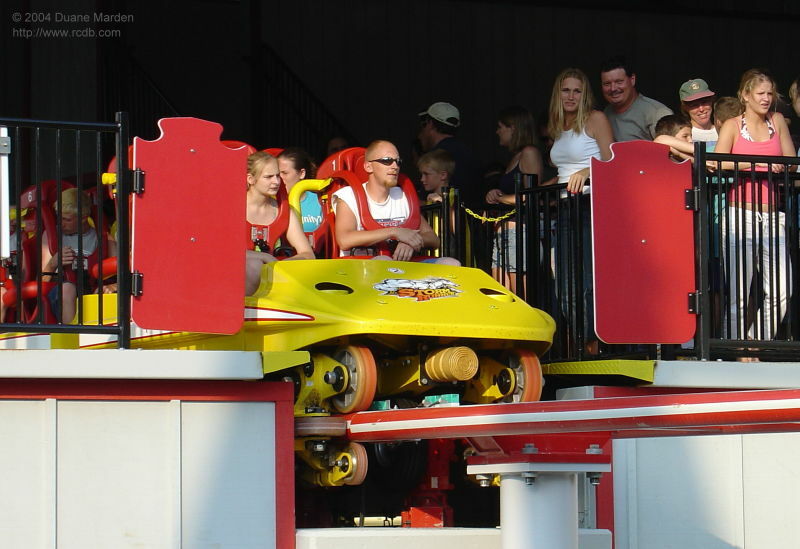 Are those the same restraints as Storm Runner? I don't know why but they look different. Yeah they look the same. Storm Runner's are a lot brighter though. I wonder what that guy waiting for the front row is smiling about.. Hmm..
What'd u all think about the OTSR on Storm Runner. I didnt think they were bad except for the weird dump to the right element where u bash ure neck on it. Wonder how they'll affect Ka and RITA..
Ahh, it's totally the black OTSR's versus the red ones that threw me off. I didn't have a problem at all with SR's restraints. 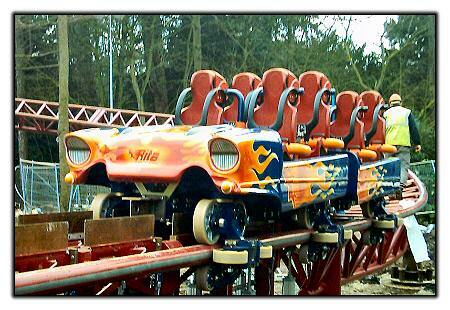 We rode several times in both the front and the back and didn't bang/hit/bash our head/neck or anything! AHHHH the Chevron cars have come to life!! !